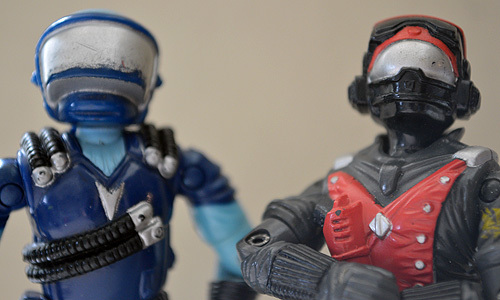 Silver masked buddies: Cobra Motor Viper and Strato-Viper. The vehicles they controlled are sadly long gone. 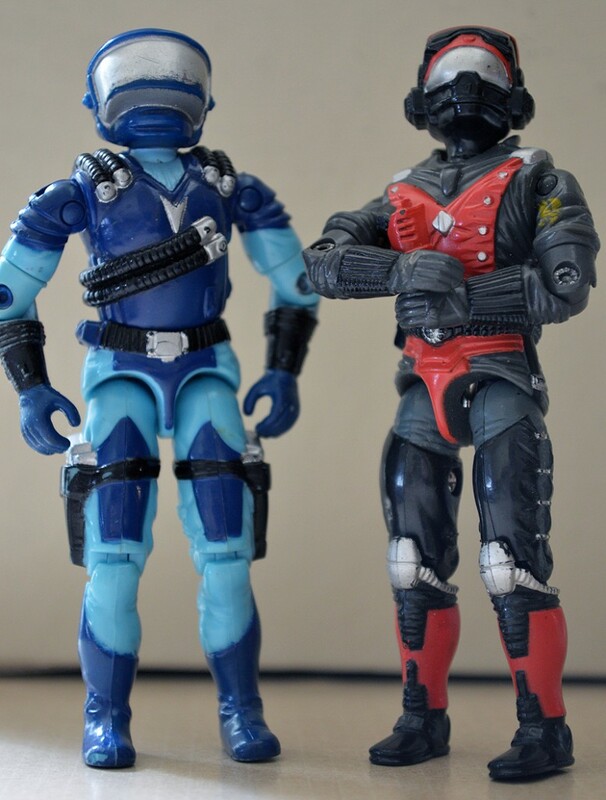 But these two Cobra goons have remained in one piece regardless. The Strato-Viper was a big deal for me. I remember opening it one Christmas Eve at my grandparent’s apartment. It seemed like the biggest gift I’d ever gotten. The Cobra Night Raven remained a part of my collection for many years. I can’t say exactly what became of it. It’s possible I sold it, although I think I actually gave it away. Can remember going to a shelter for abused women once in high school and donating several to the kids living there. The same happened to the Motor Viper’s Cobra STUN. That one I specifically remember donating. Neither of these guys had accessories, but can’t really call them complete without their vehicles. Obtaining those, however, would prove far more challenging given the space required to house such items. The Night Raven is especially hard to find a place for in a reasonably furnished home. Very cool but larger than most shelves can fit.